The other week we shared Bonnie’s brown and poky kitchen and talked about our plans for this space. We spent weeks pulling together our inspiration and researching kitchen options. 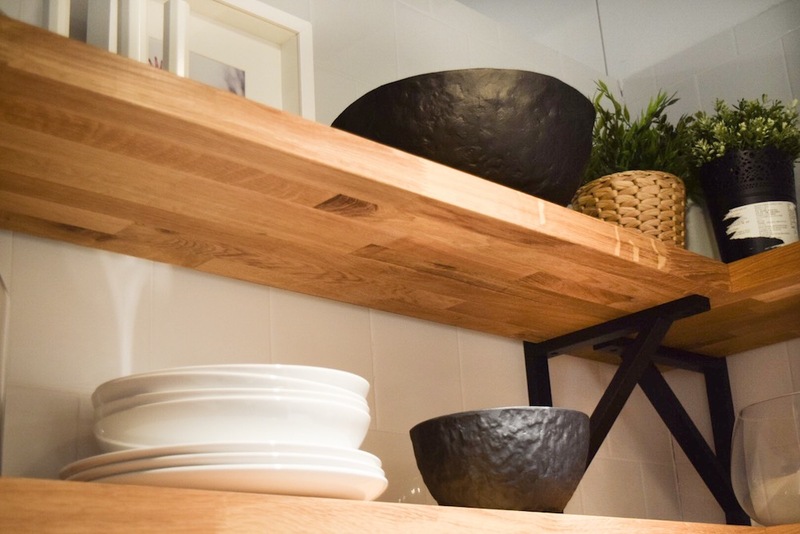 Ultimately, Bonnie and her partner decided a kitchen from IKEA would offer the best value for money – offering the style and features they desired, such as sleek cabinetry and clever storage solutions, and at a great price point. 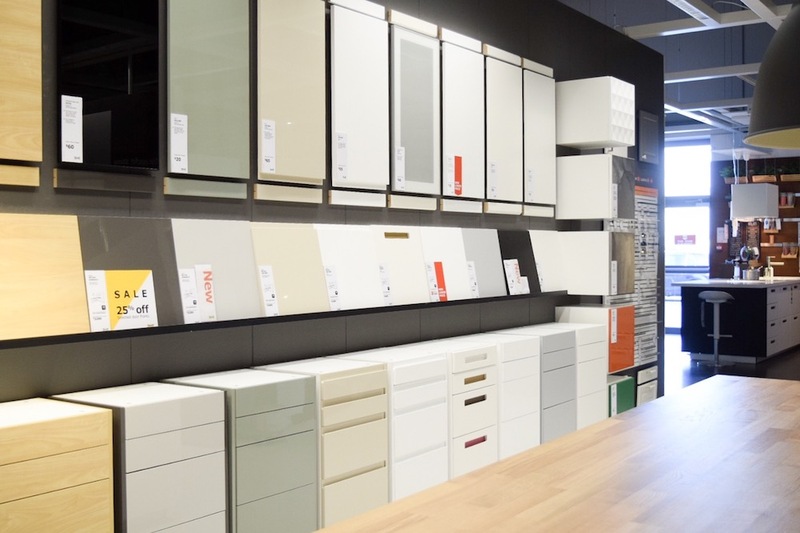 So we made an appointment with a kitchen expert at IKEA Canberra to design the space and lock in all of our selections. There are a range of different kitchen consultations you can select, including an in-home appointment or via an online kitchen planning session so you can design your kitchen from home. But we decided to go in store so we could see all of the kitchen displays and finishes in person. Before going into IKEA to design their new kitchen, Bonnie and her partner Tom spent many hours dreaming up what they could do with the space. 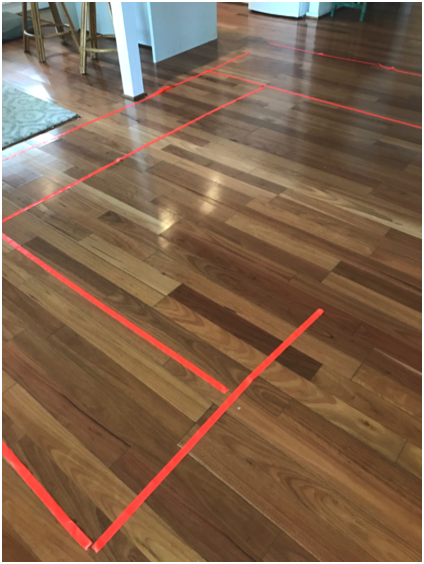 They even mapped out options on the floor using tape while on holidays so they could visualise layouts, get a feel of the scale, and see where everything could fit. 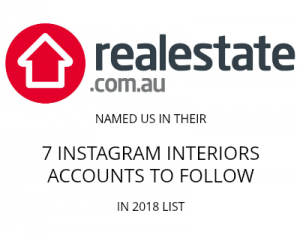 As we mentioned in the last post, there was no pantry in Bonnie’s original kitchen and it was top of the ‘wish list’ to have a pantry while working with the constraints of the space, including keeping plumbing in the same position. With a good idea of what would be possible in the space, Bonnie and Gina headed into IKEA in Canberra to properly design the new kitchen! 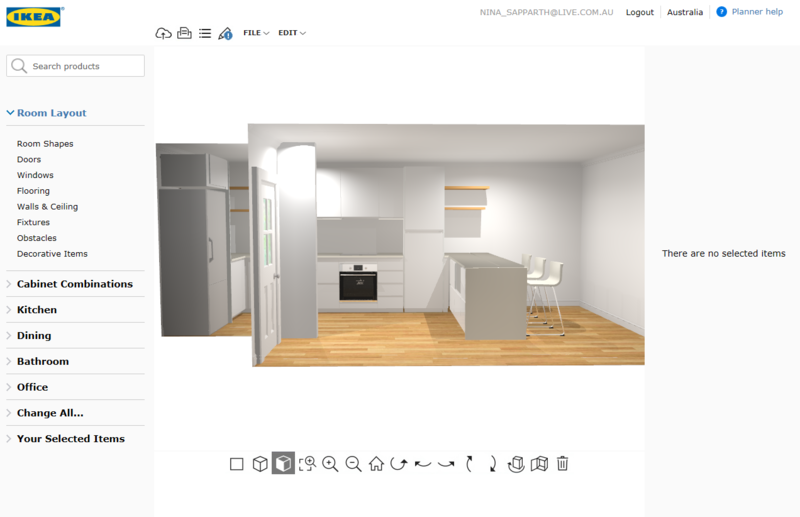 During the 2-hour IKEA kitchen appointment, our in-store kitchen guru Nina took our measurements and put them into the IKEA Home Planner system and created a 3D digital visualisation of Bonnie’s home. From here, we shared our ideas with Nina who dragged and dropped different cabinetry options and together we came up with two great designs for the space. 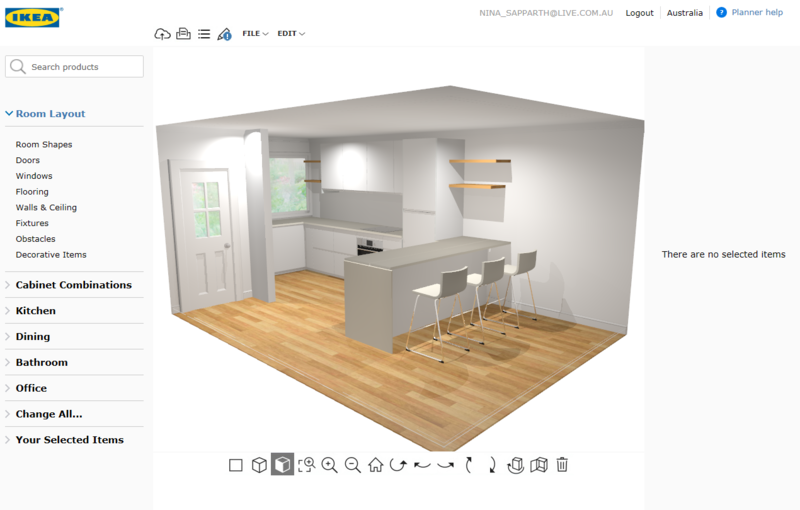 – be prepared for your kitchen consultation so you have all the information you need to design your kitchen. The most important thing to do is measure your kitchen correctly. When you book a kitchen consultation with IKEA, you will be supplied with a grid measuring document and a handy checklist to make sure you get it right. There are also helpful instructions on how to plan a kitchen here. It was lots of fun designing Bonnie’s new kitchen with IKEA and while we loved both the designs Nina helped us create in the videos above, we decided the U-shaped design would be the better option – ensuring the entry of Bonnie’s home is kept clear and offering a view out into the garden. Here is the design from the front and side. The next step of the kitchen design process was to make all of our selections – cabinetry, tapware, sink, appliances, and so much more! Before our appointment we had created a mood board of the look we wanted to achieve, which helped make the selection process easier. It can get a bit overwhelming trying to lock in all your selections in the moment if you don’t know the overall look you want to achieve so our tip is to definitely take the time to develop a mood board before you begin making any decisions for the space. Bonnie was keen to have a stone benchtop to ensure a luxe-look and longevity for the space so we chose ‘White Storm’ in Caesarstone. When it came to cabinetry selections, we loved the look and feel of Voxtorp white – it’s a satin finish matte cabinetry rather than a high gloss. Voxtorp is smooth with integrated handles that are easy to open and close so no decision was required on door handles. The tap and sink were easy choices – Bonnie wanted black to follow through from her bathroom. For integrated lighting we choose LED strip to sit underneath the cabinetry, which will create a soft ambience at night and be handy for food preparation and cooking. Now that we had a pantry to work with, it came time to select the interior fittings. 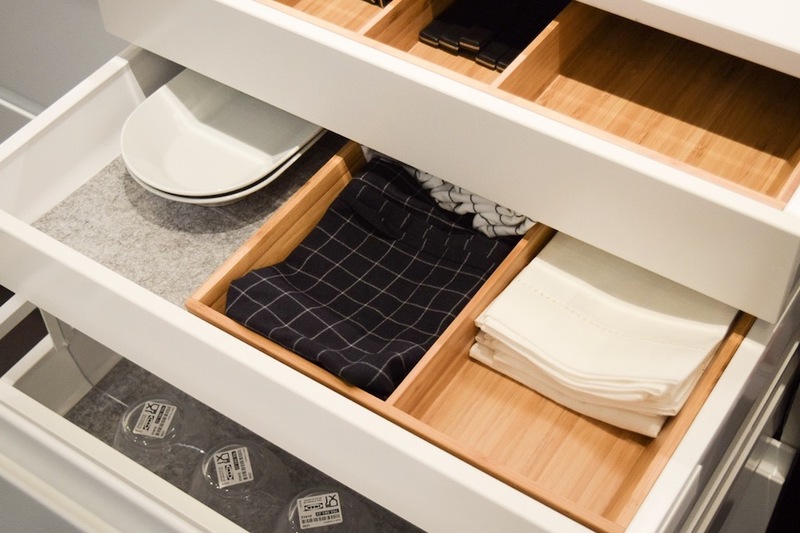 IKEA has incredible options for maximising space and we fit in a spice drawer, additional drawers for kitchen utensils, an integrated dishwasher and in-built microwave to maximise bench space and handy features such as a concealed slide out bin and a skinny slide out pantry shelf to store clean up items and sauces neatly. We chose all IKEA products for the appliances – we knew that they would fit properly and all come with good warranties and reviews. We opted for an induction cooktop (it was on Bonnie’s wish list! ), plus a high quality oven. In-store, IKEA offer a variety of appliances to suit all budgets and they now stock refrigerators so we got one of those in stainless steel to match the space too. Stay tuned for our next article where we share the latest in luxe kitchen features to inspire your next kitchen, and tips and advice on functional kitchen features too. I would love to know how the fridge is going? We are looking at purchasing the ones fridge and wondered what the quality is like?